The CM-1001 Flex is slightly smaller by an 1/16" than the CM-1001 non-flex. We recommend to use blocks - MC-4008 Corners- for the joints to get a uniform appearance. 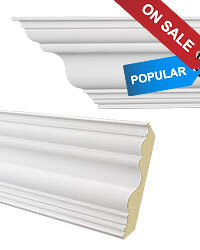 CM-1001 flex moulding is 91" long, and 3.9" tall x 3.9" wide. 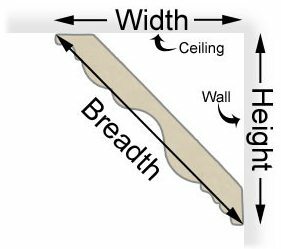 The flex moulding is designed to fit around curved walls that have a large radius (a soft curve). They are not designed for areas such as a small circular rotunda.